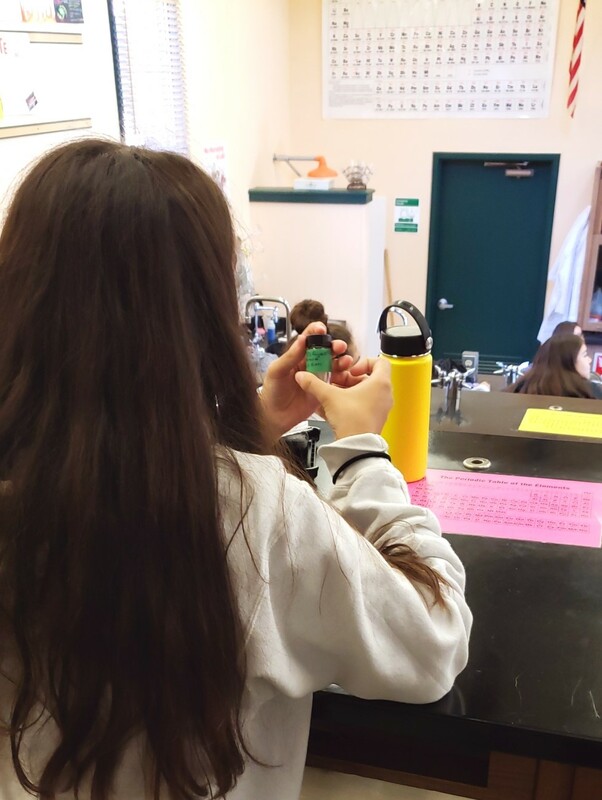 BMSIS Young Scientist Jennifer Moreno (interning with BMSIS Scientist Dr. Andro Rios) recently had the opportunity to share her knowledge of chemistry, meteorites, the origin(s) of life, and ethics in science with students at St. Patrick – St. Vincent Catholic High School in Vallejo, California, USA! She spoke to three classes of chemistry students (~20-30 students per class), all of whom were sitting in the same chemistry classroom as she had when she herself was a student at St. Patrick – St. Vincent. 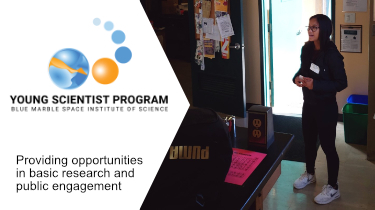 Speaking of the opportunities, Jennifer has said, “It was a bit of a surreal experience being able to speak to high school chemistry students who are sitting in the same classroom as I did and learning chemistry for the first time from the same teacher that I had learned from. I started out by interacting with the students so I can see how much they knew about the world of organic chemistry. Some or even most of the students mentioned they had never heard of organic chemistry to which I gave a very brief introduction to organic chemistry. “I wanted to show the students that organic chemistry is versatile in that it has applications and can be related to many other disciplines of science and not just chemistry; including research into the origins of life. We then discussed how meteorites are formed and why its formation is important to helping us study the early solar system. Some of the students were really in awe when I mentioned that the meteorite sample I had brought to show them was dated back to more than 4.5 billion years ago! “I also incorporated a section in my presentation titled, “Ethics Break,” where I asked the students to discuss with me the question, “If we want to study the origins of life are we trying to disprove the existence of God?” I could tell these students were critical thinkers and future scientists because of the conversations they had amongst themselves and with me. “One student asked, “Even if we understood how the origin of life happened there would still need to be a higher power that started it all, right?” The question was very a thoughtful one but one that I do not have a sure answer. The section on ethics was a way for me to remind them that science is not just what we learn in books, but also it’s an ongoing process and should be handled responsibly with the best intentions. We at Blue Marble Space Institute of Science are so proud of the wonderful research and public engagement work of our Young Scientists. Jennifer Moreno’s engagement with the students of St. Patrick – St. Vincent Catholic High School is exemplary of the type of skills our Young Scientists are learning – how to share the wonder and awe of the cosmos while learning to be the best scientists we can be!